Each year millions of dollars are spent for new plant equipment designed to build things better and faster. However, machines continue to break down. Bearing failure is a major cause of equipment downtime in today’s industrial environment, most often resulting from improper lubrication. Improper lubrication scenarios include the contamination of the lubricant by dust, dirt and moisture, inadequate amounts of lubricant applied to the bearing, and/or over lubrication of the bearing. Each bearing failure directly impacts the production cycle. While bearings can be expensive, replacement cost alone is often miniscule compared to lost production and the cost to repair the damage. Why, in the age of technology, is this a problem? It is because many bearings are still lubricated manually. No matter how diligently a maintenance staff adheres to a lubrication schedule, it is a difficult task. Because employees are expected to manage multiple responsibilities in the lean environment of today’s plants, it is common that proper lubrication is not considered a priority. Figure 2. Manual Lube Safety. Even the most cautious maintenance personnel encounters difficult conditions when performing manual lubrication, especially when machinery is in operation. It also prevents excess lubricant from finding its way onto the finished product, the plant floor or other work surfaces. This results in fewer rejections, cleanup and disposal problems, as well as less waste of lubricant. And of course, all of this positively affects the company’s bottom line. Another benefit of an automated lubrication system is worker safety. It becomes unnecessary for employees to engage in the potentially hazardous practice (Figure 2) of manually applying lubricant while machinery is operating or in hazardous, difficult-to-reach locations. 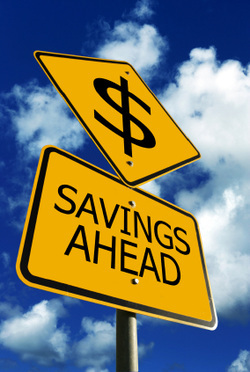 When considering the benefits of implementing an automated lubrication system, it is important to know that it could pay for itself within the first year through the cost savings it generates. Production uptime, preventive maintenance costs, repair costs, safety expenses, environmental compliance costs, lubricant costs and machine replacement costs are all positively impacted. Reducing the number of bearings to be replaced by just 50 percent nets a savings of $120,000/year just on labor and bearing costs. Downtime in the process industries costs from $10,000 to $150,000 or more per hour. Assuming a line production time value of $60,000 per hour, shutting down a strategic line for just three hours to replace a few bearings can be very costly. Consider that $60,000 x 3 hours = $180,000 in lost production. There is no standard for the cost of a lubrication system. Very small systems can cost as little as $1,000, whereas large systems may cost tens of thousands of dollars. It becomes a fairly simple matter to justify the cost of an automated lubrication system. Obviously, the most important factor is how many bearings or other lubrication points need protection. Then, depending on the scale of the application, other accessories/controls may be required to maintain, monitor and manage the lubrication system. Automated lubrication systems can lubricate a lone strategic bearing, all the lube points on an individual machine, or they can be designed to cover a process line or an entire plant, literally lubricating 1,000 or more points from a single system. Automated systems can be driven by a simple pump with an integrated timer or can involve a pumping system placed on a large bulk lubricant storage tank that might feed thousands of lubrication points. The centralized lubricant pumping system is more likely to be operated by a dedicated microprocessor controller or a machine/process PLC or a combination of both. Other factors affect the cost of the lubrication system. 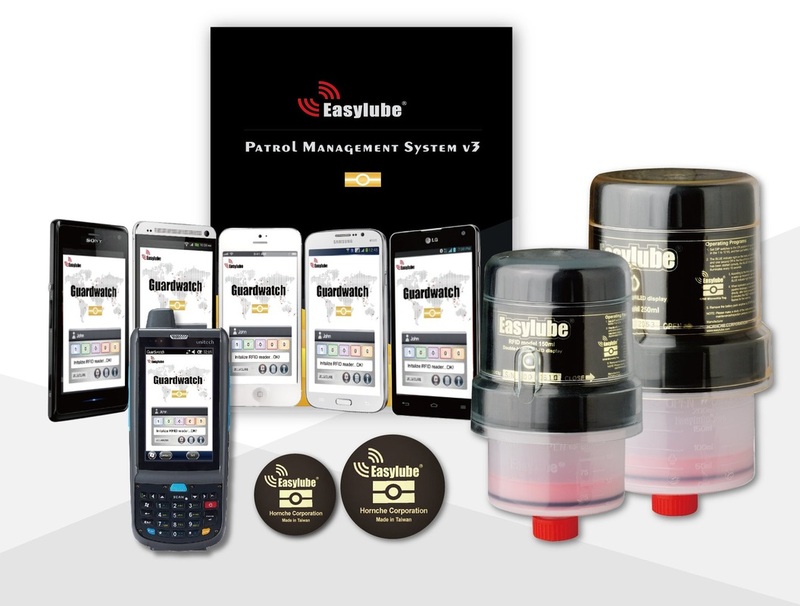 The user could choose to monitor the system by visual verification of delivery or use automated equipment to indicate when a lubrication cycle does not occur as planned. It is definitely an issue of scale. The more lubrication points fed by a single system, the more likely the application can justify the cost of a more sophisticated control and monitoring system. The nature of the bearings themselves, their cost, the value of any given machine or series of machines and the total output value for a given production line are determining factors. Often systems are evaluated on a cost per bearing or lubrication point basis. Maintenance of automated lubrication systems varies greatly from one system to the next. However, there are some common factors that can impact system performance and reliability. First, the lubricant selected must be compatible with the intended application, the lubrication system components, system layout and ambient operating temperature range. When selecting a lubricant for a machine already equipped with automated or centralized lubrication, make sure the lubricant grade is approved for use with the specific lubrication system. When changing lubricant brands or types, be certain that the new lubricant is chemically compatible with the old. Although you may be adding the new lubricant to an empty and clean reservoir, residual old lubricant will be in the piping and metering devices. All systems require clean lubricant. Be sure to follow correct handling and storage procedures because a lubricant that is contaminated by dirt or moisture can damage lubrication system components, or worse, machine bearings. A routine check of all fittings and piping is recommended. Leaks adversely affect lubrication system performance, as well as cause housekeeping, safety and/or environmental problems. Keep system reservoirs filled with lubricant by topping them off on a routine basis. If the reservoir runs dry, most systems will pump air into the piping and metering devices. Air pockets are compressible and prevent systems from developing required pressure and volume of lubricant delivery, and the system will not function properly until the air is purged. Other maintenance issues vary, depending on the type of system in use. If the system is very basic, it may not have low-level indication or any other type of monitoring. These systems typically have transparent reservoirs or “sight glasses” and should be visually checked for lubricant level periodically. On a single-line parallel system, the injectors have an indicator pin that comes out after each lubrication event so one can see that all injectors are cycling. A progressive system also may have indicator pins, allowing one to observe movement to verify system operation. The larger single-line parallel systems use pressure switches or transducers in the supply line to indicate completion of a lubrication event. After reaching the prescribed pressure within an allocated period of time, a special controller resets and times out until the next lubrication cycle. If the system fails to reach the prescribed pressure, the controller activates an alarm. A limit switch attached to a cycle indicator pin can perform the same function on progressive systems. Pressure-activated performance indicators also are a monitoring option on progressive systems. These devices, which mount parallel to the outlet port on the distribution block, are activated by high pressure, an indication of a blockage. When activated, the performance indicator either vents lubricant or extends a pin. Many systems may include a reservoir low-level indication. With this feature, the system controller or independent indicator will signal the need to fill the reservoir. Many systems allow an audible alarm or signal light to make the alert more noticeable. Often, this same capability allows the user to route the alarm signal to the machine’s PLC or to a central control panel in the plant. In systems with sophisticated controls, remote sensors can be added to verify that each system cycle results in lubricant reaching the intended bearing. If the sensor does not detect lubricant flow, a fault signal is generated. This capability requires dedicated hardware and software to interpret the sensor signals. In general, automated lubrication systems offer superior features to manual lubrication. The benefits of automated lubrication include less downtime due to bearing failure, reduced man-hours required for the lubrication task, and increased worker safety, as well as reduced lubricant and cleanup costs. All of these positively affect productivity. There are many variables to consider regarding equipment lubrication. Automation of the lubrication process can start out small and simple, and can be adapted over time to specific needs. Suppliers can help determine what will work best for each situation and can assist in cost-benefit analysis. Maintenance of an automated lubrication system varies with each system. However, there are simple rules that apply to all systems such as compatible and clean lubricant, routine checks of fittings and piping and visual review of reservoirs. The principle to remember is that smaller amounts of lubricant supplied more frequently results in better lubrication and lower overall maintenance costs.